The Nigerian naira remained stable against the dollar and other currencies at the exchange rate market. 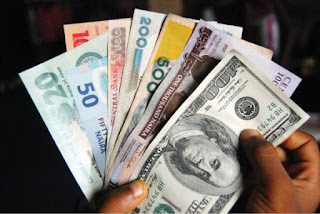 The naira remained stable against the dollar at the parallel market in Lagos on Friday, still exchanging at N360 to the dollar. At the Bureau De Change, the naira was sold at N360 to the dollar, while its rates against the Pound Sterling and the Euro were N478 and N417, respectively. At the investors’ window, the naira closed at N364.12 against the dollar where a market turnover of 295.08 million dollars was achieved. The naira closed at N306.45 to the dollar at the official CBN window. Traders said that the market had remained active as political activities had begun gradually across the countr y.